A new concept in home design—twin homes by Lennar—are now available in Campo Bello, a vibrant community that also offers single-family homes. 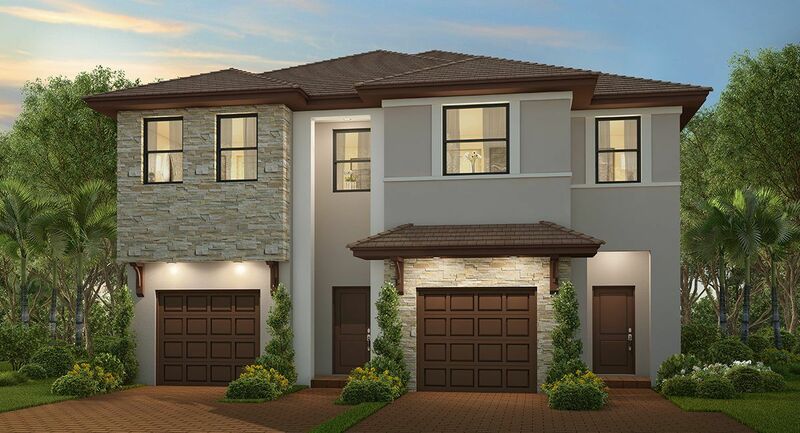 The first of its kind in South East Florida, Lennar’s twin homes are innovative hybrids, combining single-family home benefits with the accessible pricing of townhomes. Our twin home advantages include, neighbors only on one side for greater privacy and quiet surroundings, each home is an end unit, and oversized backyards perfect for family fun and entertaining. All Campo Bello homes feature Smart Home Technology with activation and support by Amazon and voice control by Alexa, delivering connectivity, safety and convenience. Lennar’s Everything’s Included® experience ensures that you don’t have to compromise on luxury features.